Always try to "stay ready" . Always stay prepared so when the right opportunities present themselves, you'll be ready -- ready to take advantage and excel!! Don't wait to prepare. 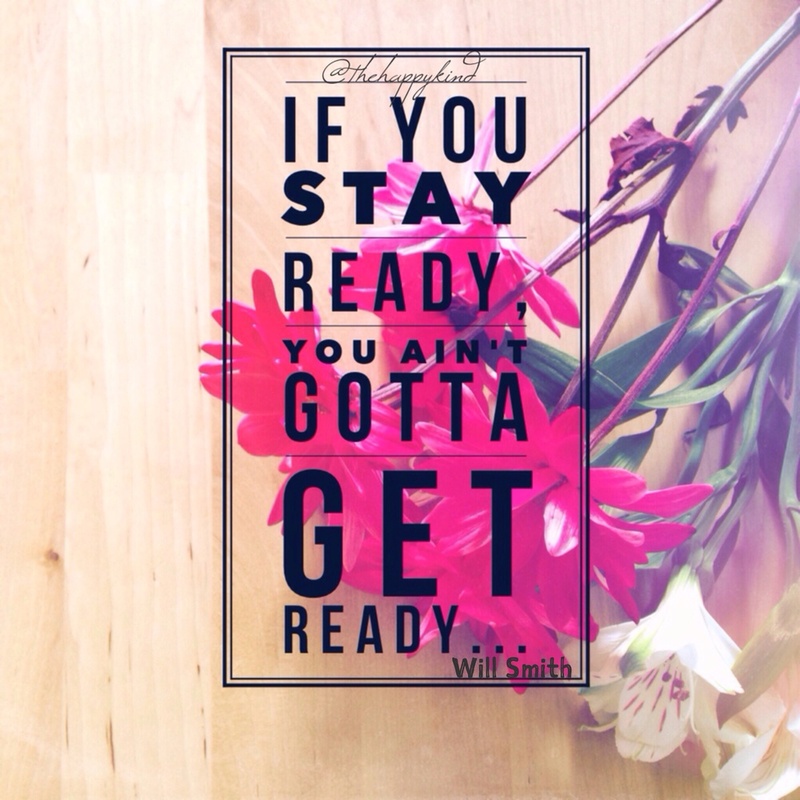 Prepare now! It's always best to start now and do something today that your future self will thank you for later! Stay prayed up, prepared, and ready for the blessings and opportunities that are waiting for you!